Tan’s mature musicianship is informed by extensive knowledge of the piano from the time of its invention three centuries ago and of its historic development. He has reached back in time to perform on everything from copies of early fortepianos to restored instruments associated with Beethoven, Chopin, Liszt and Brahms. In addition he has applied lessons learned on pianos from the past to conjure subtle new colours, fine details of articulation and delicate shadings from the modern concert instrument. Tan’s work as recitalist, chamber musician and concerto soloist has been heard at many of the world’s leading concert halls, from the Amsterdam Concertgebouw and Vienna Konzerthaus to London’s Wigmore Hall and Royal Festival Hall and New York’s Lincoln Center, and at the festivals of Salzburg, Edinburgh, La Roque d’Anthéron, at Bath’s Mozartfest and City of London festival. In recent seasons Tan has connected with audiences across China and South East Asia, introducing many to their first experience of fortepiano and attracting young people to attend recitals on early and modern pianos. Others have discovered his work through his large discography, complete with ground-breaking fortepiano recordings of concertos by Mozart and Beethoven and Schubert’s Impromptus for EMI Classics, and releases on the Archiv, Deux-Elles, Harmonia Mundi, NMC and Virgin Classics labels. Melvyn Tan was born in Singapore in 1956. He showed prodigious musical talent during childhood and, at the age of twelve, came to England to study at the Yehudi Menuhin School. Tan’s piano teachers – Nadia Boulanger, Vlado Perlemuter and Marcel Ciampi – sparked his lifelong passion for French music in general and the works of Debussy, Ravel and Messiaen in particular. He was encouraged to think about the nature of music during his time at the Menuhin School, to consider its structure and shaping forces, and ask questions of the score. After Tan enrolled at the Royal College of Music in 1978, he broadened his scope of enquiry to include the sounds of early pianos and the playing styles that conditioned them. Tan’s decision in 1980 to specialise in fortepiano, brave and forward-looking at the time, was rewarded by rapid professional progress over the following decade. He forged an enlightened artistic partnership with Roger Norrington and the London Classical Players, intensified in 1987 during the course of a landmark tour of Europe, America, Canada, Australia and Japan. Capacity audiences attended their Beethoven Experience weekend at London’s South Bank Centre and subsequent international tour, during which Tan performed on Beethoven’s Broadwood fortepiano of 1817. Not content to rest in the box reserved for early music practitioners, Tan began exploring works on the modern concert grand piano. He launched this new phase in his career on Christmas Day 1996 with a performance of Mozart’s Piano Concerto No.9 ‘Jeunehomme’, given in Cologne in company with the Deutsche Kammerphilharmonie. The following year he gave a recital of Chopin’s Préludes and Schumann’s Kreisleriana at Wigmore Hall. Tan’s refreshing interpretations of everything from Bach and Rameau to Chopin and Debussy are directly informed by his knowledge of historical playing styles and intuitive feeling for the modern piano’s timbres and textures. 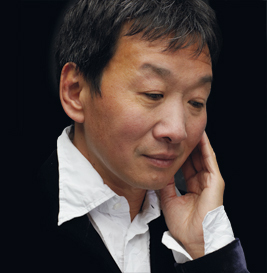 Tan has performed as concerto soloist with such prestigious ensembles as the London Philharmonic Orchestra, the Academy of St Martin’s in the Fields, the Hong Kong Philharmonic Orchestra, the Royal Liverpool Philharmonic Orchestra, Stuttgart Radio Symphony Orchestra, Salzburg’s Camerata and Mozarteum orchestras, Melbourne Symphony and on tour with the Australian Chamber Orchestra. More recently, Tan has made regular appearances with the Singapore Symphony Orchestra and with the London Chamber Orchestra, recording Mozart’s Piano Concerto No. 12 and Beethoven’s Piano Concerto No. 2 on the orchestra’s LCO Live label. After an absence of two decades, Melvyn Tan made a triumphant return to Singapore. He played to a full Esplanade Hall in January 2011 and has since returned regularly to Singapore for orchestral and recital performances and to teach young musicians. Since September 2012 he has shared his knowledge of pianos old and new and of the art of interpretation as Artist in Residence at Singapore’s Yong Siew Toh Conservatory.